On the left (at least I think it's the left) is my hat that is at the decreasing part-it should be done by the end of today. I've knit that pattern many times and it is a great easy knit. On the right is my second citron shawl, the yarn is half silk and half wool and it is wonderful! It has more of a woolly bloom than I expected-a pleasure to knit and I bet it will block perfectly! 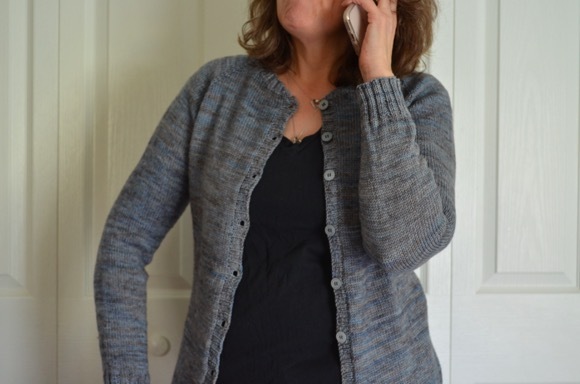 I am thrilled to report that my featherweight cardigan is complete and I posted about it yesterday. I had to rework the button band which ended up to be a minor setback. But it felt like a major setback! So I have a cardigan just sitting and waiting to be worn when the weather is a bit cooler. You are going to love An Everlasting Meal, it is wonderful. I agree with Tracey about the yarn envy. That happens every single time I stop by here!! :-) Both books sound interesting. I'll have to see if the library has them! I have wanted to read an everlasting meal! I think I will have to try and find it. I really like Tamar's book. It is one to savor. That orange is perfect. I find that is my new color. I picked up two different orange yarns recently. Love the pop of color. Still waiting to make citron. Don't know what I love more, the hat or the shawl! That orange yarn is sooo pretty *sigh* Your featherweight cardigan looks indeed light as a feather, I imagine it is perfect for summer evenings? Oh your shawl is gorgeous! Such a lovely color! I'm enjoying The Language of Flowers -- an excellent suggestion! Thanks! you do know how to mix the patterns with the yarn--beautiful combos again!!! such pretty yarns! thanks for the book recommendations I will need to check them out!! I love the Citron! The color is beautiful. Oh, love that orange hat. How fun that will be in the Fall! I so wish I could spend a weekend with you and have you teach me! Such a lovely photo! The colors are gorgeous! I'm putting the Everlasting Meal on my reading list! 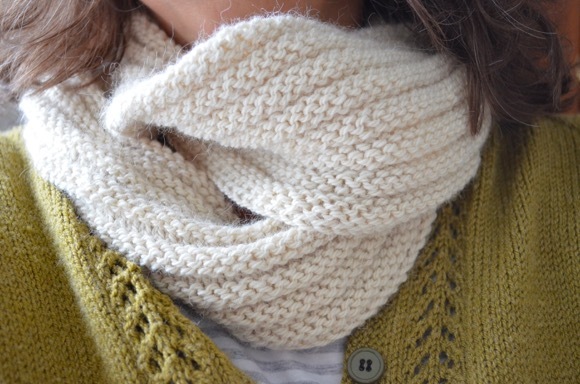 I love the yarn you're knitting with on both projects -- gorgeous! An Everlasting Meal sounds interesting.. think I will have to add it to my list! Interested in hearing what you think of that book! :) And I love the color of your citron! I love the color yarn on that hat. And the Citron, well you know how much I loved your first one so I'm sure this will be just as awesome. I never thought about if I boiled water correctly. LOL! Every time I hop on your blog, I see your finished Citron on your header and am insanely jealous! I'm making slow progress on mine at the moment, and yours is just so pretty!! I'm glad that you're making another, as it says to me that you really enjoyed making the pattern the first time, and enjoy the FO. Beautiful projects on your needles and off - I just saw your instagram picture of the finished hat. Love the colours! The Everlasting Meal is on my list, can't wait to hear what you think about it. And as always you choose the most beautiful yarns and colours to work with. Your cardi is beautiful. I printed the directions for the Citron yesterday. Not sure when I'll start it, but I know I won't knit it as fast as you did yours. Love seeing your work! That cardi is beautiful and it was interesting to read about how you solved the challenges. Glad you're liking Language of Flowers; I loved it. Now to check out a review of your new purchase! I love the colors in that hat. So bright and cheerful. Love to come here and check out your pictures. Karen you always take the best pictures. Love both the yarns and the books this week! I love the colors you choose Karen. Even though we have not had much of a summer here in England, I am beginning to get the Autumn Urge! All those autumny colors are beckoning!